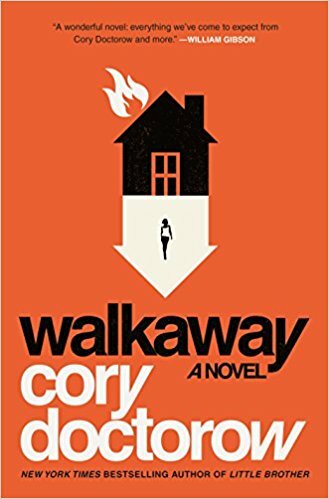 I really enjoyed reading Cory Doctorow’s Walkaway, though it was more the setting than the story that had me entranced. Doctorow envisions a relatively high tech future with a strong upper class with strict controls on many aspects of society, but there’s an informal, unsupported safety valve that makes it possible for people to get out from under the plutocrats (called Zottas here). Doctorow’s society is fraying around the edges, so there are lots of abandoned industrial facilities and vacant land that people who are fed up can Walkaway to. Once there they create informal voluntary societies, and exploit the abandoned wealth they find around them. 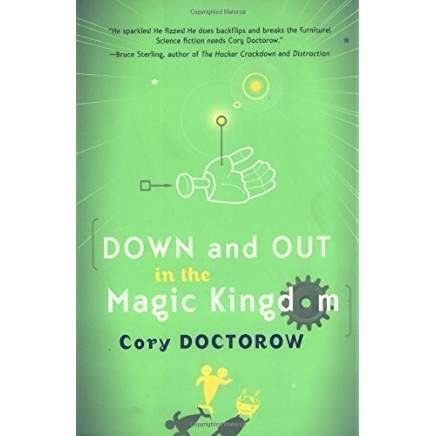 As with Doctorow’s Down and Out in the Magic Kingdom this is a reputation based society, but many of the people who fuel this iteration explicitly reject the ideas of ratings and rankings and tracking contributions. People work together for the joy of it, and record their ideas and plans so others can replicate what works and improve on what doesn’t. In a focal early scene, Limpopo and her companions have been working for months to build a habitation called the Belt and Braces in the wilderness. Limpopo leads by doing a lot of the work, and she has argued convincingly that using leaderboards and rewarding people based on their contributions are ineffective ways to encourage desirable behaviors because they incentivize the wrong kinds of effort. Jimmy had lost an earlier round of this argument and been asked to leave. He returns with a crowd of allies one day when Limpopo is working outside, and his crowd uses the lack of formal rules to rewrite the software controls and impose a reward structure. A common response to this kind of disagreement would be to wage a “revert” battle in the software, but Limpopo uses this opportunity to demonstrate the depth of her commitment to the “Walkaway” philosophy by announcing that she’s not going to fight over it. Instead, she’ll go somewhere else and start over, leaving Jimmy with full possession of an empty shell. When pressed, she declares “I didn’t make it. It wasn’t mine. I didn’t let him take it.” The Walkaway philosophy is to not have belongings, so as not be attached to your stuff. It’s impossible to steal from them because they don’t acknowledge ownership. For me, the model that strikes home is the ability to withdraw from an existing government and decamp to a new location to just start over. The current international order doesn’t seem to leave any gaps for things like this, but I’m currently in the middle of reading James C. Scott’s The Art of Not Being Governed, which presents a history of South East Asia that says that the shape of the societies in that part of the world has been driven for millennia largely by the people who moved to less accessible locations in order to escape governments that were getting unbearable. 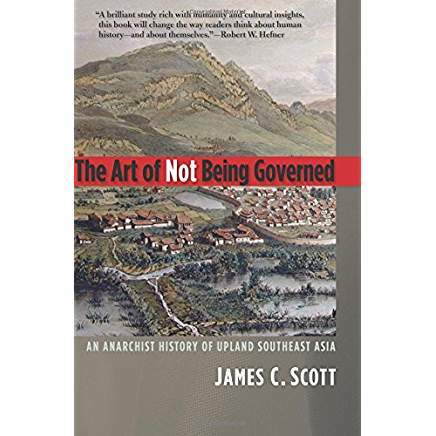 Scott argues that the sociology of the closely related peoples living in hills and valleys were driven more by which crops and living arrangements were easy for governments to count and tax in the valleys, and hard for them to find and more durable in the remote and higher settlements. Doctorow doesn’t try to argue that it’s easy, and in fact shows that the walkaway crowd is doing an immense amount of work in order to rebuild. I find this model of decentralized self government very sympathetic. There’s no acknowledged government with territorial exclusivity, and people are able to leave if they don’t like the way things are being run. There is plenty of open room to move to, and there’s enough generalized wealth at hand and accessible know how that people don’t feel tied down. The unfortunate part of Walkaway is that Doctorow needed a conflict, and the one he sets up is that the Zottas are jealous of their control over society, and see the walkaways as a threat, so they’re willing to kidnap, torture and send in the troops in order to regain control. In the final battle scene, a Zotta leader’s daughter is in the target area, and the Zotta’s back down. But in the meantime, the walkaway society’s story is one of resisting violence from outside rather than the peaceful coexistence they’re working so hard to get. I agree with Doctorow’s aesthetic sense; focusing on this society after the Zottas have ceded control wouldn’t provide conflict at the same existential level, but it would be a much nicer place to live, both for those who walk away and those who remain behind in the “default” economy. Doctorow knows how to tell a story: There are a lot of funny and touching scenes in the story, and he covers a lot of ground. In addition to the overall situation which I’ve focused on so far, the story covers many kinds of relationships, uploading makes a major sub-plot, and the unequal distribution of society’s benefits is explored. He does have a darker outlook than I on where technology is heading. The reason there are riches lying around is that the Zottas would rather shutter outmoded plants than sell them and allow someone else to exploit the resources they contain. There are many highly trained mercenaries around that the Zottas can hire who will do their bidding, no matter how distasteful it might seem to us. But that’s visible in many of his other stories, and he still manages to be entertaining and paint a hopeful picture about how people can get along together and build something great. This book is being considered for this year’s Prometheus, and it’s my current favorite.